Grand Staircase-Escalante National Monument is a labyrinth of sandstone rock features, lush green valleys, and deep winding canyons. Here, you’ll find some of the world’s most beautiful landscapes rich in scientific and cultural significance, but equally rich in controversy. 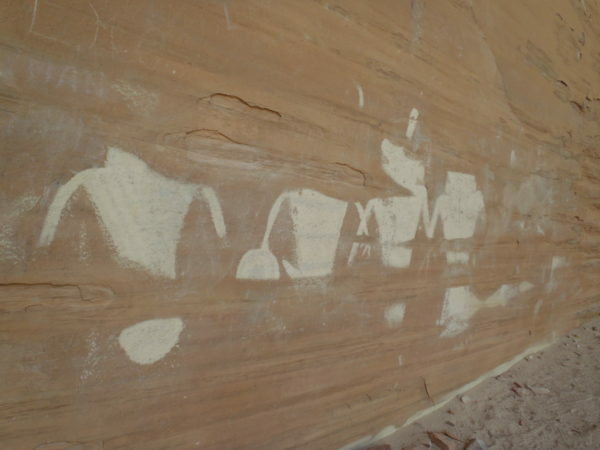 The scientific and cultural significance of the region is substantial, and on that basis Grand Staircase-Escalante was designated a National Monument by President Bill Clinton in 1996. Why am I hearing About Grand Staircase-Escalante now? The conversation centers around whether Grand Staircase-Escalante should be a national monument and whether the size of the monument is too large, constraining the ability of local communities to benefit from economic opportunities such as mining and logging that are prohibited by the monument designation. This debate is significant for a few reasons: the region holds cultural value to local tribes and monument status protects many historic and religious sites, there is scientific value in unique geologic formations and rare dinosaur fossils found nowhere else on earth, there’s a question of the economic impact that the monument designation has on the local communities whether positive or negative, and there remains a legal debate over how monuments are created or changed within the federal government. The Grand Staircase-Escalante National Monument neighbors Bryce Canyon National Park and stretches across more that 1 million acres of land. The monument draws travelers from across the globe to hike, canyoneer, mountain bike, fossil hunt, view ancient cliff dwellings and archeological sites, and marvel at the beauty of the landscape. One of the arguments against Grand Staircase-Escalante National Monument from the outset was surrounding the economic opportunities that the monument designation would eliminate. The Kaiparowits Plateau within the monument is rich in both fossil beds and coal deposits, and there has long been speculation about the potential value lost by preventing future coal mining in the region. This is the crux of the economic argument against the monument designation. In 2017, President Donald Trump requested that the secretary of the interior, Ryan Zinke, review the monument. Zinke consequently recommended that the size of the monument be reduced by nearly 50%. Secretary Zinke’s review of Grand Staircase-Escalante does not fully acknowledge the argument around how the monument could foster economic growth. 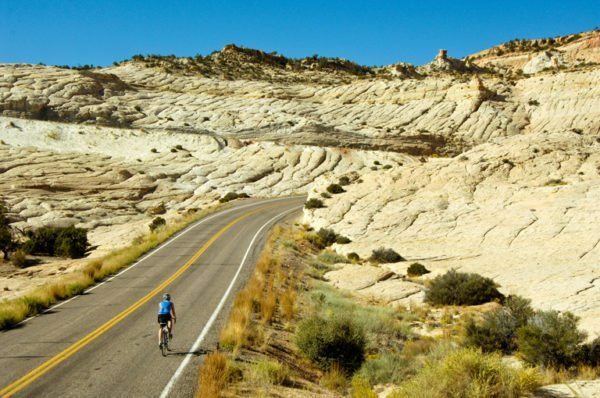 Between 2001 and 2015, jobs grew by 24% in the Grand Staircase-Escalante Region and by 2015, tourism within the monument represented 44% of total employment, contributing more than $12 billion to the local economy. GSEM does allow for traditional access that some national monuments prevent such as grazing, hunting, and fishing rights. Many onlookers are particularly interested in how President Trump’s administration will come to a resolution around the Grand Staircase-Escalante debate. It is clear that a president has the power to designate a monument without the support of congress, but it is not clear that a president can declare a monument be reduced in size. It remains to be seen whether the recommendation made by Secretary Zinke will be supported by congress and become final. 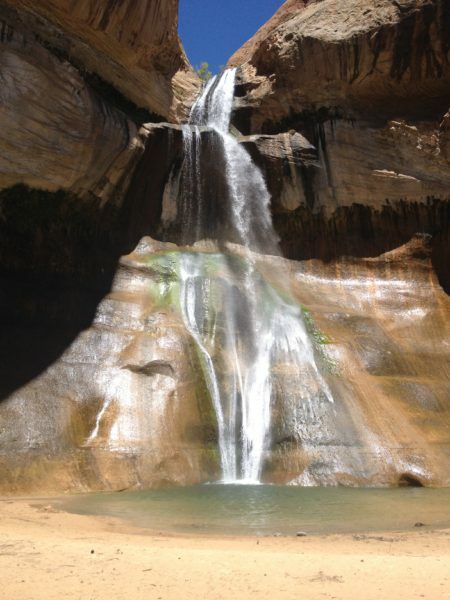 Lower Calf Creek Falls, a popular hike off Hwy 12. Should the Grand Staircase-Escalante National Monument be reduced in size as was proposed, the land will remain under the protection of the federal government with a different designation, likely managed by the Bureau of Land Management or the National Forest system. The reduction in size would not mean that all land is immediately available for sale, logging, or mining. This is an important fact to note when considering the debate. The land belongs to the citizens of the United States and on this ground it is our responsibility to appreciate, respect, explore, and protect, no matter which governing body manages the region. Knowing this, perhaps the very best thing we can do is continue to have this conversation, put GSEM in the news, educate ourselves about the value of the landscape, go there, marvel at the beauty and history of the wild southern Utah desert, and create opportunities to educate others about how to care for the cultural, scientific, and recreational resources we have at hand.